Packaging company Pact Group has struck a $90 million agreement to acquire specialty co-manufacturer Australian Pharmaceutical Manufacturers (APM), subject to customary conditions. 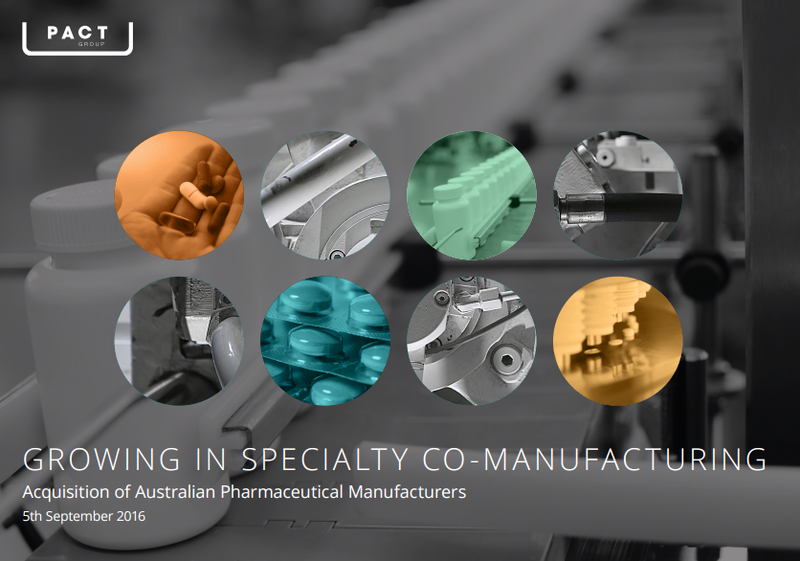 APM, which was established in 2002, is one of the largest providers of manufacturing and packaging services for nutraceuticals in Australia with significant industry experience and long term relationships with leading participants in the health and wellness sector. The company’s manufacturing facilities are equipped with cutting edge technology to deliver tableting, encapsulation and packaging solutions and a range of therapeutic nutraceutical products including vitamin and mineral supplements, herbal remedies, amino acids and other specialised formulations. Pact Group’s Managing Director and Chief Executive Officer, Malcolm Bundey said the acquisition, to be funded by $75 million of bank debt and a share issue of $15 million, formed an important part of the company’s strategy to expand in specialised co-manufacturing. He said the move would complement and extend Pact’s existing position established through the successful acquisition of Jalco in September 2015. “The acquisition of APM is strongly aligned with our growth strategy and is expected to add significant value to Pact. APM operates in a very attractive sector which is experiencing robust growth in demand both domestically and in export markets,” Mr Bundey added. The transaction is expected to be finalised on 16 September 2016.